Up to now, the number of countries who are studying Mandarin in the world has reached hundreds, and the number of Chinese learners has reached more than 50 million. These people not only do study Mandarin in their own countries,but learn authentic Chinese in China. Taking Shanghai as an example, the number of foreigners study Mandarin in Shanghai every year has reached 70000.In order to meet their demands of Chinese language learning,the domestic foreign language training is increasing, in order to solve the teacher shortage situation. There are good employment opportunities both at home and abroad with studying Mandarin in Shanghai. For example, the world's economic powers, the United States are aware of the importance of Chinese. With the increasingly close relationship between China and the United States, China has become more and more influential, and studying Mandarin is becoming one of the current trends of the American people. “What I like most about Chinese is that it is more concise and straightforward than any other language. There is no verb deformation and no tense tense expression, and I find the logic of Chinese is very strong." Emily said,who Studied Mandarin in Shanghai in MandarinGarden. 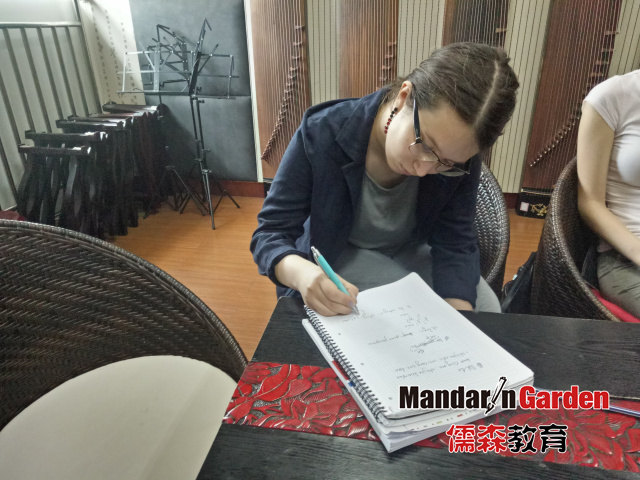 Emily began to study Mandarin in Shanghai from the first year of her college, and although she started late, she persisted all the time. In Emily's view, China's influence will become more and more big, studying Mandarin can help her understand China's development better. 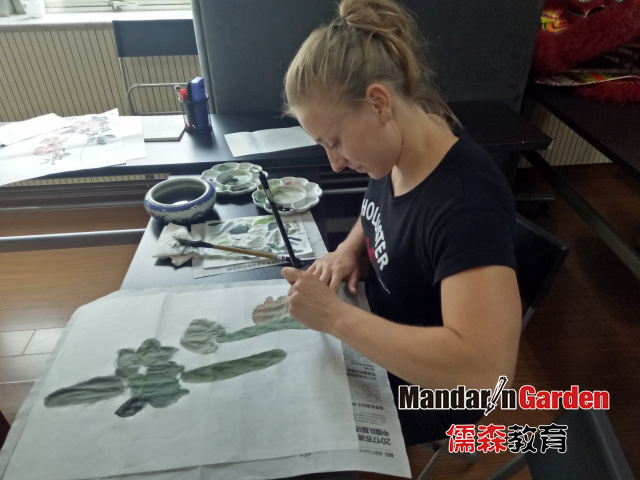 Chinese student's efforts, humble and filial morality impressed her very much.Emily learned more about Chinese culture in MandarinGarden. In Shanghai, there are many foreigners like Emily, what all we need to do is upholding our advantages, and constantly improve our teaching principles, to promote the development of Chinese education better and better. Prev: Mr Zhao’s Chinese language learners from Italian, heat can not block their learning enthusiasm !